D) you’d rather let the animals keep their coats. You’ve come to the right place, and I’m so glad you found me! 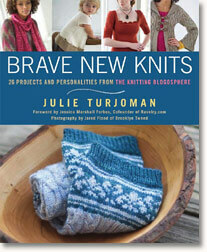 KNITS THAT BREATHE: 12 BREEZY PROJECTS TO KEEP YOU COOL is the result of my year-long design exploration with alternative and plant-based yarns. This new collection features 12 original, flattering, and supremely comfortable tunics, cool tees, and lacy cardigans that will skim over your curves with delicious drape and style. 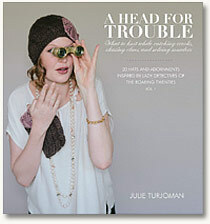 The patterns in KNITS THAT BREATHE include varied construction techniques, strategically placed lace (with both written and charted directions), and practical but decorative pockets, making the projects challenging enough to hold your interest but never frustrating. A ‘Fiber Resource Guide’ tells you the most important characteristics of these yarns that may be unfamiliar, but that you’re eager to try. 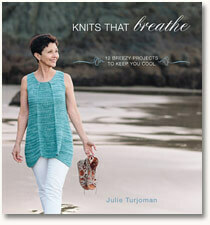 This collection of designs is for all of us who want our knits to breathe! Like Dorothy in The Wizard of Oz, I make my home in the great Midwest – although in my case it’s a condo in Chicago rather than a farm in Kansas. My Toto is an elderly tabby cat named Shadow, and the nearest tornado is in my office where, if my yarn stash landed on me, I would most definitely not make it out alive. 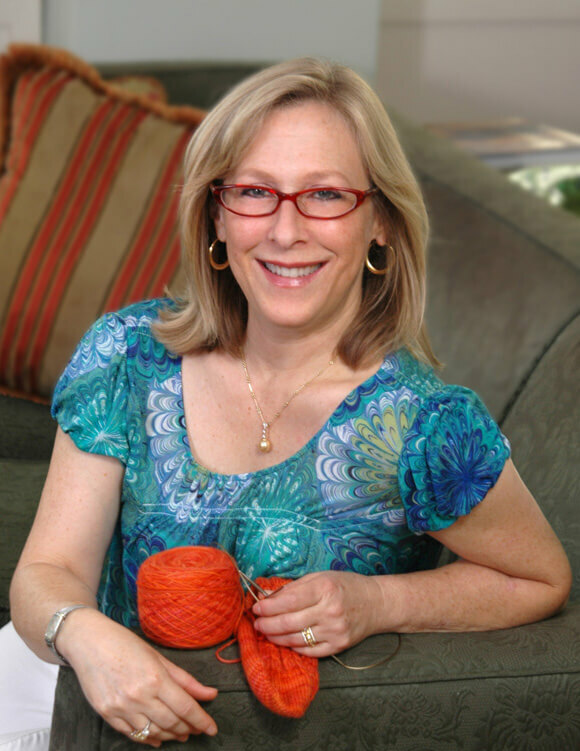 An accomplished hand-knitter for more than 25 years, I am also the author of A Head For Trouble: What To Knit While Catching Crooks, Chasing Clues, and Solving Murders (20 Hats and Adornments Inspired By Lady Detectives of the Roaring Twenties) (Passiflora Press, 2014), and Brave New Knits: 26 Personalities and Projects From the Knitting Blogosphere (Rodale, Inc. 2010). 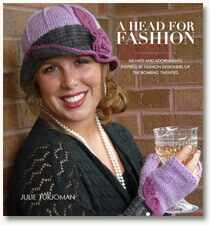 My independent designs have been featured in Interweave Knits, Jane Austen Knits, Knitty, and Twist, as well as in the books Vampire Knits (Potter Craft, 2010) and More Knitting In The Sun (Wiley Publishing, Inc., 2011).